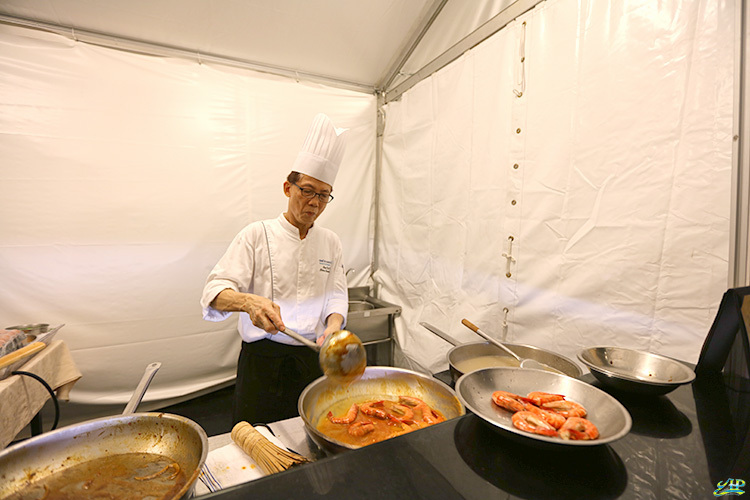 Spice up your excitement this April at Sentosa’s Siloso Beach where it will be transformed into a vibrant and mouth-watering food street. 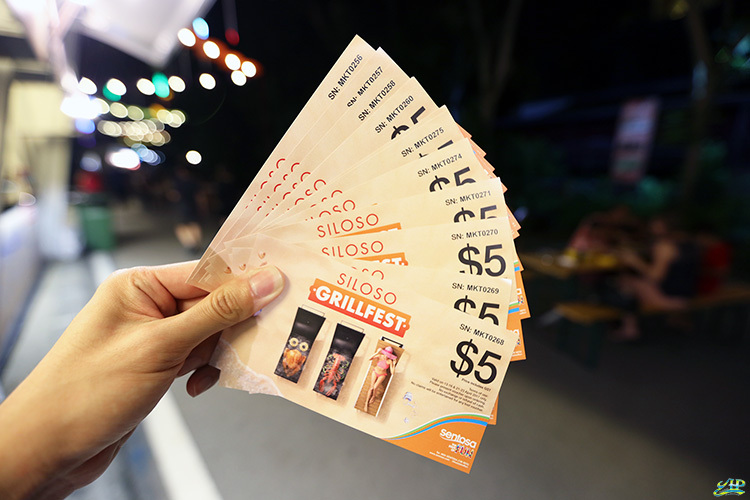 The inaugural Siloso Grill Fest offers a spread of classic and contemporary BBQ creations as well as a variety of delectable international cuisine from about 20 F&B pop-up stalls that stretch over 1km. 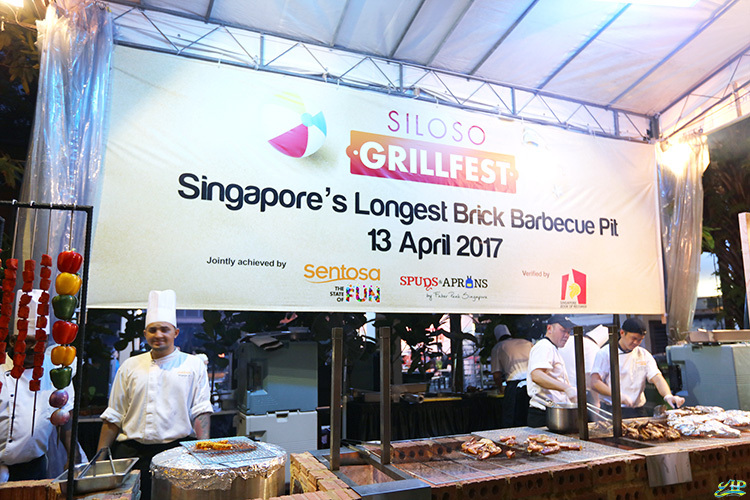 What’s more, witness also the longest brick BBQ pit in Singapore. All these accompanied by live music performances from artistes such as Jack & Rai and MUSA The Collective over two weekends on 13 – 16 April 2017 and 21 – 23 April 2017 from 6pm till late. Charge a minimum of S$30 to your Mastercard and go for one spin in a sure-win lucky draw! A smoky, charred slab of meat or a platter of freshly grilled seafood is a perfect way to wrap up an exhilarating day at Siloso beach. At The State of Fun, it’s always time to let your hair down (while also letting it smell like charcoal and grill) and indulge in sinful yet irresistible BBQ delights. With F&B names like Spuds & Aprons, FOC Sentosa, Mykonos on The Bay, and more, you know you’re in for some flaming treats. 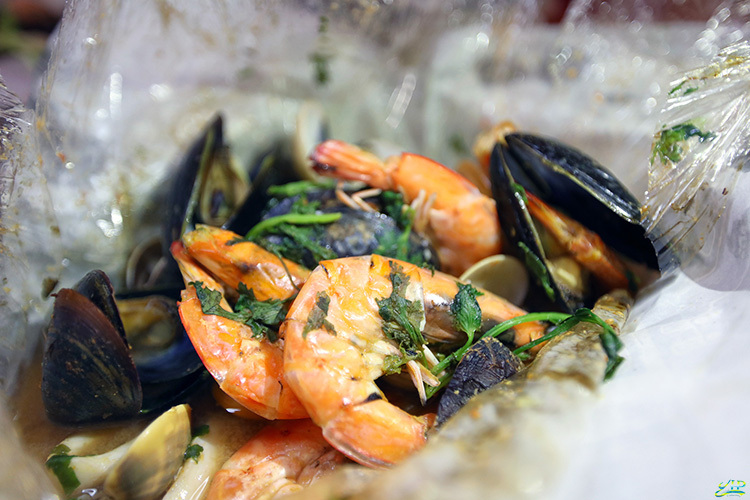 The grilled seafood platter by Spuds & Aprons’ is probably every shellfish lover’s dream with generous amounts of fresh mussels, clams, squid, and prawns. 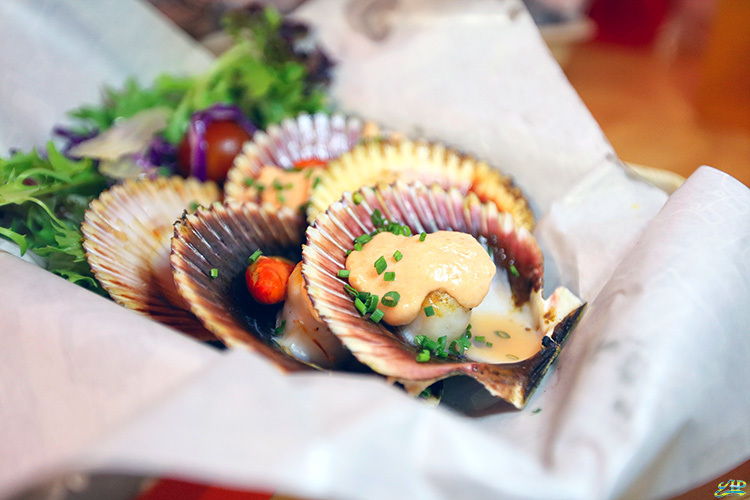 However, it was their Hokkaido scallops with Mentaiko sauce that stole my heart with its absolutely satisfying umami goodness. ONE°15 Marina’s Wok Fried Tiger Prawns with Chilli Crab sauce was also a hit with palm-sized Tiger Prawns that were irresistibly sweet. We just wished it came with the missing half of every Chilli Crab based dish – deep fried Mantous. They do offer the dish with a Black Pepper or Herbal base too. With a whole range of options to feast on, we recommend coming in groups to maximise your palates. 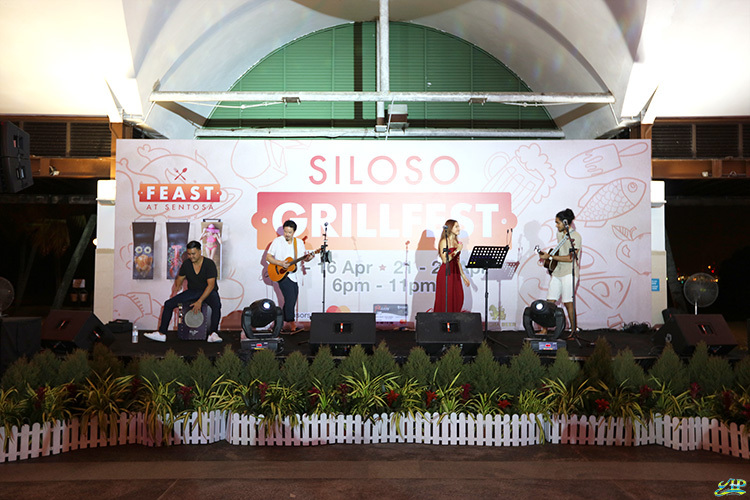 Forget about the calories for just one night and oblige yourselves at Siloso’s GrillFest, the first such event of its kind. After all, the pop-up stalls span across 1km, which means burning calories while feasting! What a perfect world we live in. 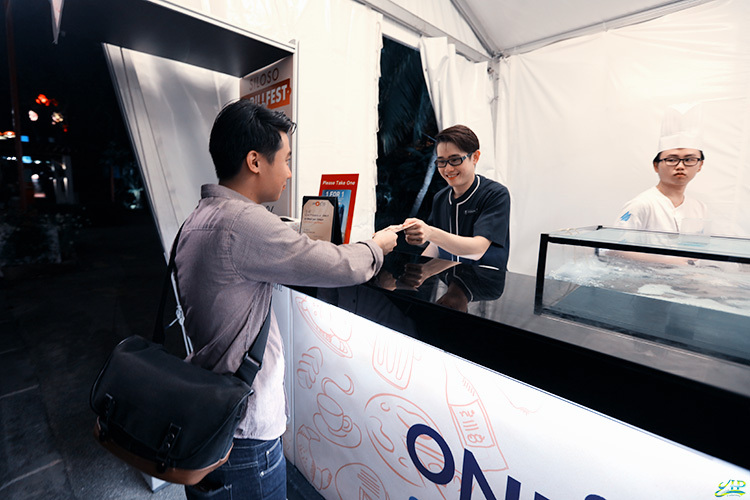 Mastercard holders also enjoy a 10% discount at selected stalls.